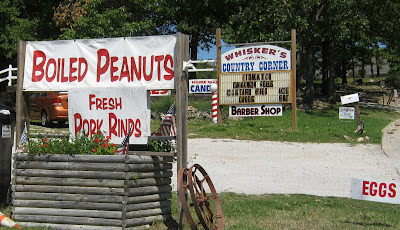 On the way to our morning fishing trip, my fishing partner and I passed a country store advertising “BOILED PEANUTS.” That got me thinking. Were it not so common, easy to find and even easier to use, peanut butter would rank above French truffles and Russian caviar as one of the world’s most flavorful food. Luckily, it’s something us commoners can afford and enjoy. I love peanuts other ways, as well. Peanuts in the shell were a fall staple at the hunter check-in station where I used to work. A jar of dry roasted Planters is as good a snack as I can imagine. But boiled? I couldn’t imagine. Neither could Bill so we vowed we’d stop at Whisker’s Country Corner on the way back from fishing to investigate. What we found was the an eclectic mix of tourist stop, local corner store, antique boutique and just a fun place to be. You could tell it wasn’t built. It evolved. 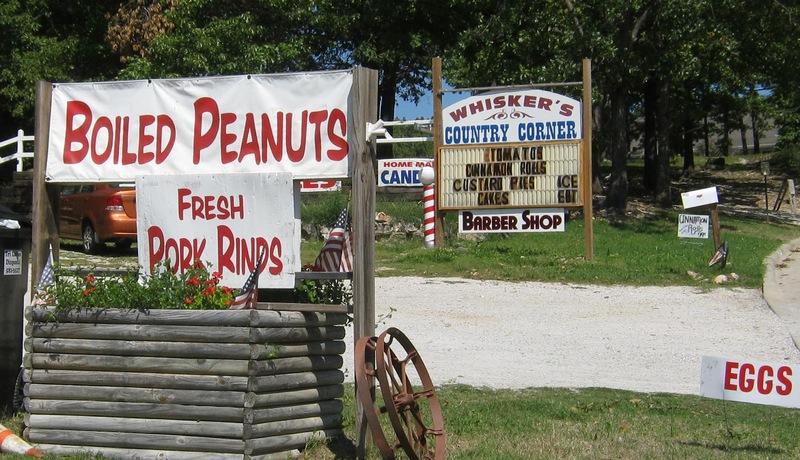 It probably started as a roadside stand selling fresh produce and perhaps boiled peanuts. Then it just grew and took over the sturdy but somewhat ramshackle buildings, nearby. You can even get a haircut there! But this is a story about peanuts. Store owner and chief peanut “boiler,” Peggy Stevenson didn’t share the exact recipe, but it involved raw peanuts in-the-shell, plenty of water a pinch or two of salt and, no doubt, a few secret herbs. Put it in a large roasting pan and let it stew for several hours - or all day, I suppose. So with those instructions, Bill and I set off with our first sampling of this southern snack. How were they? I agree with most people. Peel off the shell. I didn’t on the first one I sampled and it was indeed stringy. More than stringy, actually. Don’t do it. The rest I peeled. I say “peeled” because the process is a bit harder than cracking open a roasted peanut - more like peeling a cooked shrimp. Inside, the peanuts were done perfectly. But no peanut flavor! Their texture was more that of a navy or lima bean cooked “al dente.” (Peanuts are a legume.) The flavor was more bean-like than anything. 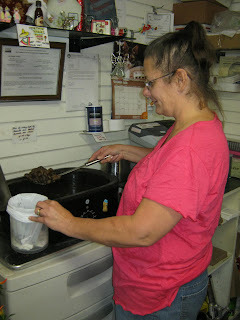 If you like navy beans, ham’n beans, black eyed peas and the like, you could easily become a boiled peanut fan. I do and I now am a fan. Unfortunately, until I get back to the Ozarks, I’ll have to make do with peanut butter.